Ready to get rid of that eye sore? Like the vast majority of the things we own, boats too have a lifespan, and as a boat loses days along its lifespan, it loses its monetary value, or usefulness. At some point along a boats life, the cost of upkeep and storage will begin to outweigh the boat itself. 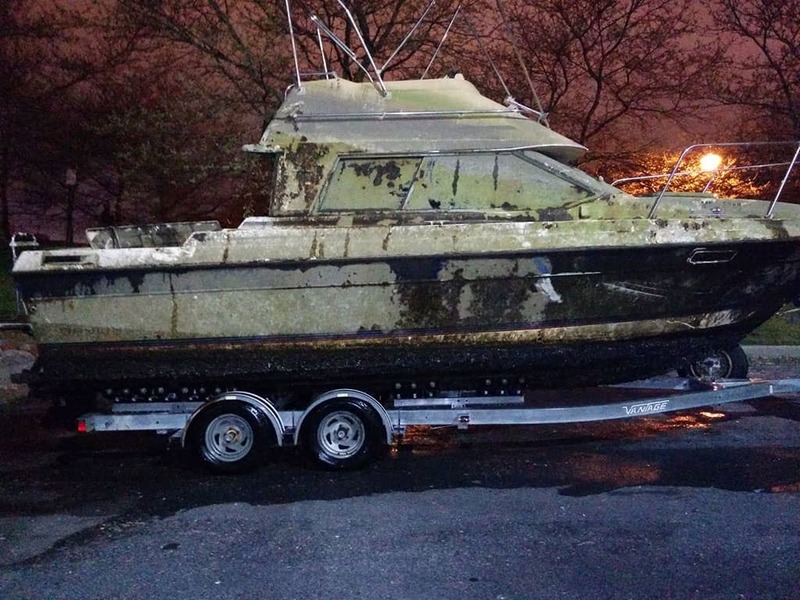 At this point, our boat disposal service may be the most appropriate solution to your unwanted, piling bills. 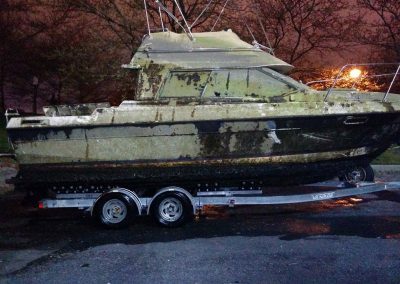 Boat disposal is not by any means a simple task, but our goal in working with you is to make it as simple and stress free as possible. 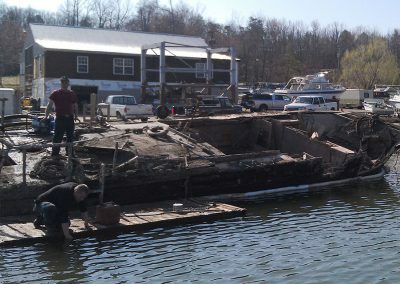 In working with Harbor Diving & Salvage, LLC, we will aim to take care of any and all environmental hazards associated with old vessels, including fuel, oil, solvents and batteries, making it imperative to properly dispose of your boat. Environmental responsibility is of the utmost importance, and with Harbor Diving & Salvage, we will make every effort possible to recycle any reusable vessel parts we come in contact with. 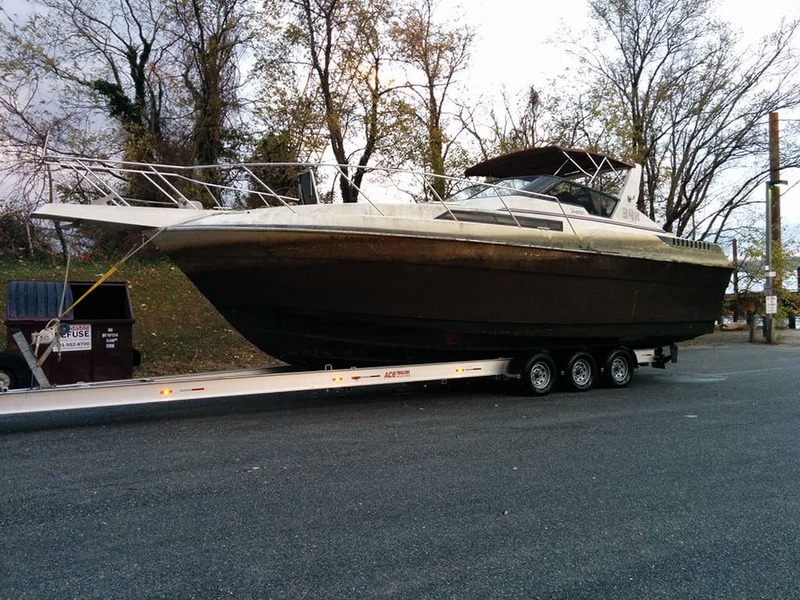 With services all throughout Maryland and its surrounding areas along the east coast, you can depend on Harbor Diving & Salvage to come to your location and remove your unwanted boat, whether it be in or out of water. 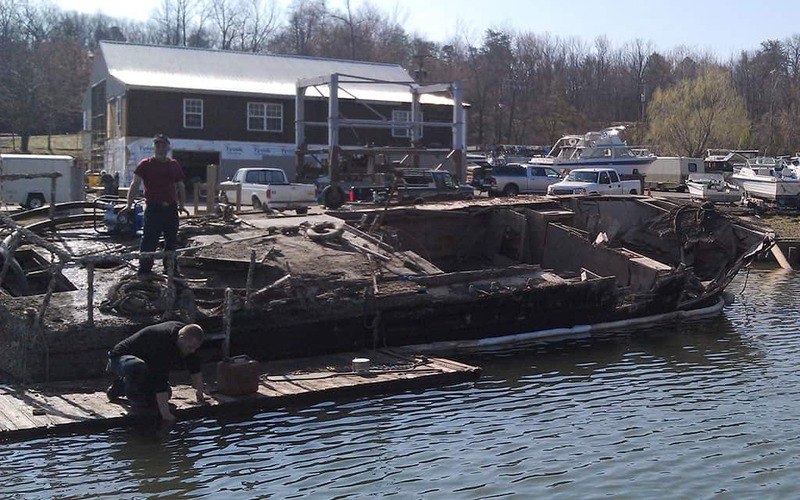 Harbor Diving & Salvage offers boat disposal services for a fee. Each boats location (land or water), size, type and fuel onboard presents a different pricing structure. If you think your boat has value, your best choice is to sell it. If you do not think it has any value left, or you have tried to sell it and have not been able to, contact us. Unwanted boats in dry dock or a wet slip costs money and time. Unwanted / unused boats in the water often times sink, which leads to incurring cost for salvage operations and potential environmental impact fines. Use our Schedule Service page to let us know what you need. Located in Annapolis, Maryland for more than 25 years.